The Social Security Disability Act, created in 1956 to serve as a safety net for people with disabilities by President Dwight Eisenhower, ensures that no American suffers the indignity of financial ruin if rendered unable to work by reason of disability. In the Social Security Disability Act (SSDI), Americans are determined to meet the moral challenge of keeping people from going hungry on the streets due to inability to work. Subsequently, President Richard Nixon added the Supplemental Security Income program in 1969. The Supplemental Security Income program (SSI) is a welfare-based program for disabled Americans regardless of work history. Most people are unprepared for the financial disaster that comes from an unexpected disabling condition. People turn to using their life savings to pay their bills. And, they are forced to choose between medication and food or paying the water and heating bills. The Supplemental Security Income program (SSI) helps protect those people receiving welfare, regardless of work history. So now there are two separate programs for disabled Americans. The key difference between the two programs is that SSDI is one of the legally required deductions taken out of every American worker’s paycheck. Workers pay into the program and earn “credits” towards benefits. Generally, a person needs 20 credits to be eligible for benefits. Because it is the duty of workers to pay into the Social Security System, the system has a duty to pay benefits to workers who are legally entitled to them. In either program, getting your case approved is not an easy task and many people are not able to fight the system alone. Getting legal representation improves your chances of winning significantly! And, while it’s a myth that the Social Security Administration (SSA) doesn’t pay cases or delays the application process intentionally to reduce benefits payable to claimants, it can be a rigorous, time-consuming process. It is also a myth that judges or the SSA wrongly deny cases in order to save the government money, but you should have the benefit of knowledgeable legal counsel on your side. If you believe you have a legitimate claim for disability benefits, you should not delay in filing your application. Filing at the earliest opportunity reduces the time you have to wait before receiving benefits. When determining disability at any stage of the process (initial application, reconsideration, or hearing) the Social Security Administration uses a five-step sequential evaluation process. This means that to decide the claim, the Social Security Administration will ask five questions, in order. If at any time during the process, it is determined that a claimant is or is not disabled, the evaluation stops – they do not advance to the next question. In addition, the Social Security Administration’s regulations list the specific medical problems allowed for a disability claim, along with the clinical evidence required to prove disability. These regulations are known as “The Blue Book” listings. If your disability is severe and meets the stringent conditions noted in The Blue Book, then you are more likely to win your case. Yes – If your earnings average more than $1,000/month, you are generally not considered disabled. 2. Is Your Condition Considered Severe? No – A “severe impairment” is one that significantly affects your capacity to do work-related activities. If your impairment is not severe then you will lose your claim at this question. 3. Does your condition prevent you from returning to your last job? No – If you can return to your previous job within 12 months of your disability onset, you will generally not be considered disabled. 4. Does your condition prevent you from doing all kinds of work? Yes – You may have a strong disability benefits claim. 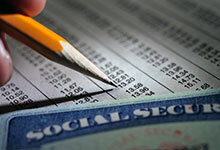 You can contact a Social Security attorney to assist you in filing a Disability Application right away. No – You may still have a strong disability claim based on other factors. If you believe you are disabled, you should get a consultation on your case. Social Security Administration regulations describe very specific impairments and the necessary objective clinical findings needed to be considered disabled. These listings are known as “The Blue Book.” Each category contains several sub-categories that describe specific conditions or diseases and the precise medical findings that allow for a determination of disability as a matter of medical fact, rather than medical opinion. Conditions must be documented to such a degree that any doctor could reach the same clinical conclusion. 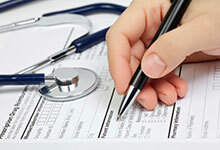 If your condition does not meet one of these listings, it does not mean that you cannot be awarded disability benefits. This can get a little tricky, but with careful strategy, and knowledgeable representation, you can still win your case!